We just got back from our annual trip to California. This year it was all about good food, beaches, historic automobile racing, and deck building. This year Cooper race cars were the featured marque along with a tribute to Jack Brabham. Once again we enjoyed the hospitality of the Golden Gate and Central California Chapters of the BMWCCA at their Festorics tent. 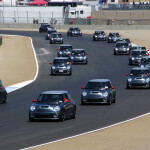 The weekend was also the kick-off for MINI Takes the States and the first delivery of the special edition JCW GP cars. You can listen to that over at White Roof Radio. 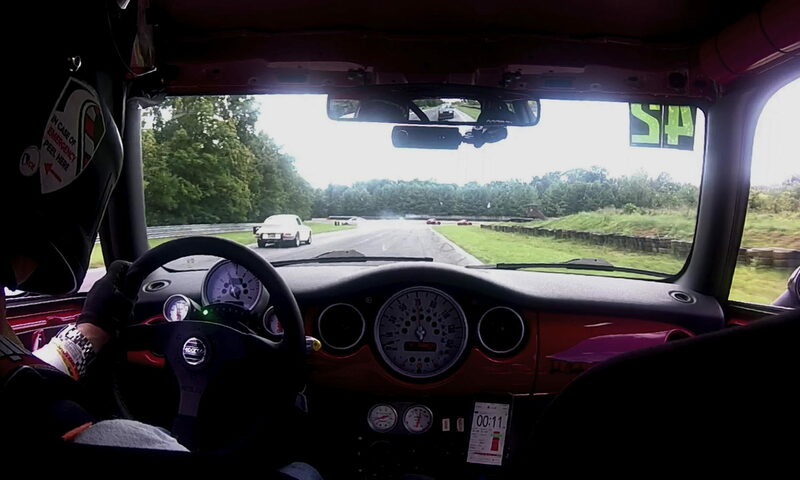 Unfortunately all we had with us was our trusty Hertz rental car — all of the MINIs present got to drive a parade lap during lunch. There were so many they completely lapped the course. I really enjoyed the historic F1 cars. Toyota also had their current F1 car there with Ricardo Zonta their test driver. He set a new lap record (for noise as well as speed.) 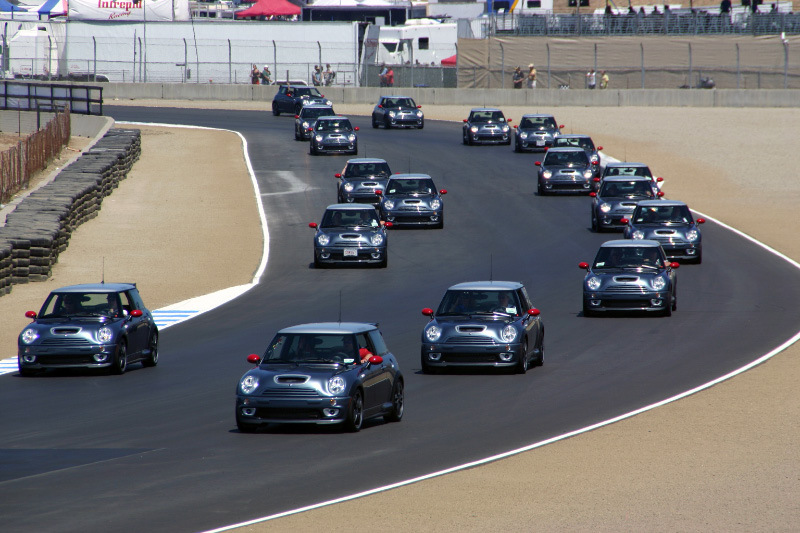 Some day I’ll make it out to Laguna Seca for a track day. For now I’ll just enjoy watching the old timers. One annual event I really miss since we moved away from California nearly 6 years ago, is the annual “Monterey Weekend.” If you are a car nut, that can only mean the weekend of the Concorso Italiano and Historic Automobile races at Laguna Seca. (Oh, and there’s some sort of car show at a place called Pebble Beach, too. But that’s a bit too high brow for me.) It’s always a weekend of good food, good company, and nothing but fast cars as far as the eye can see. This year we had a bit of fog too, but that didn’t dampen our spirits. The good news for 2006 is that Cooper will be the featured Marque. The Northern California BMW CCA chapter has a great deal with their Festorics event and trackside hospitality tent.